Marvelous Multiagers! : I've Got Sunshine! ... on a cloudy day - like today in the Chi! 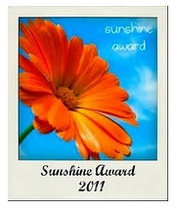 Thank you to the two awesome ladies who bestowed upon me the Sunshine Award!! Reagan from Tunstall's Teaching Tidbits is an inspiration to me! She makes the cutest units and activities for her students, and I would love to be a first grader in her class. :) Her Geometric Math Quilts are in my TpT cart waiting for tomorrow!! Keri from teach play smile is also awesome! I love how she shares children's books that go along with content (my fave). And she teaches a split class like me! Yeah! Go check out their blogs! Favorite color - Mine is purple. But I also like red, and pink, and magenta, and other reddish purpley types of colors! Favorite animal - I like zebras!! I think their stripes are cool. 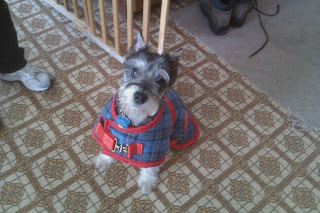 As far as a pet... we have two miniature Schnauzers and one cat and I love them all! 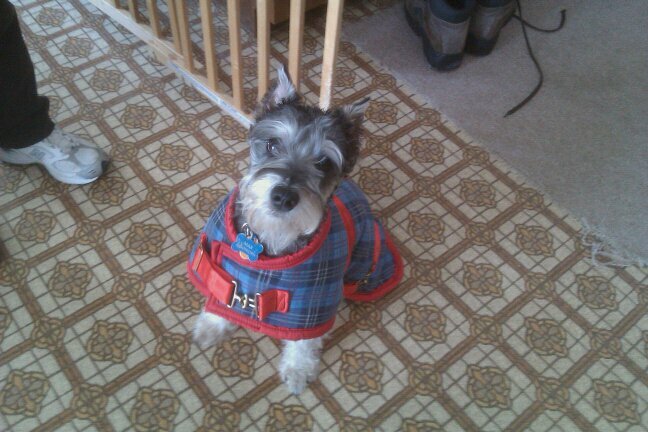 Here is our pupster, Max! Favorite Number - Meh, I don't really have one. I guess I like 8 because of how it is symmetrical and kind of fun to write! Favorite Drink - I like the Tazo Passion tea from Starbucks... and I like Coke... and I like Youthberry tea from Teavana... and I love fruit juice of (mostly) any kind!! Facebook or Twitter - I have both but I am on facebook way more. I like being able to keep up with my high school and college friends even though they may be far away!! And whenever I write in my blog, I share the link on my facebook and I always get some people who come check it out! Thanks friends!! Your Passion - Right now, my passion is definitely teaching and trying to become a better teacher. I love the blogging world but sometimes it makes me feel very small... because everyone knows what is going on and I feel like I am just trying to stay afloat!! I'm hoping it's just a first-year thing. Giving or Getting Presents - I like both! I am usually not an early shopper but I have a couple people's presents already purchased for Christmas!! Hopefully I won't be running around at the last minute this year! Favorite Flower - I like gerbera daisies! I think most people have gotten the Sunshine award, so I encourage you to check out my sidebar. I need to add some more peeps but those the blogs I really love!! 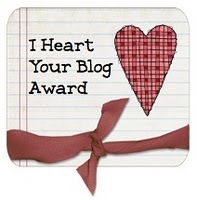 Also, I'd like to say an incredibly belated thank you to Ana at Ingles 360 for giving me the I Heart Your Blog Award!!! I just checked and she gave it to me in October............. yikes. Aaaaaaaand one last thing. This weekend I've been relaxing and planning a bit, and I am becoming a little frustrated with my schedule and school day! I feel like I can't fit everything in. I also feel like I am putting very important things on the back burner because I just do not have enough minutes! None of my specials are at the same time each day, some days I have two specials, we have a super long lunch and a morning recess, we have Mass on Friday..... ahh!! Do you have any tricks you use to squeeze extra minutes into your day?? I am desperate! !